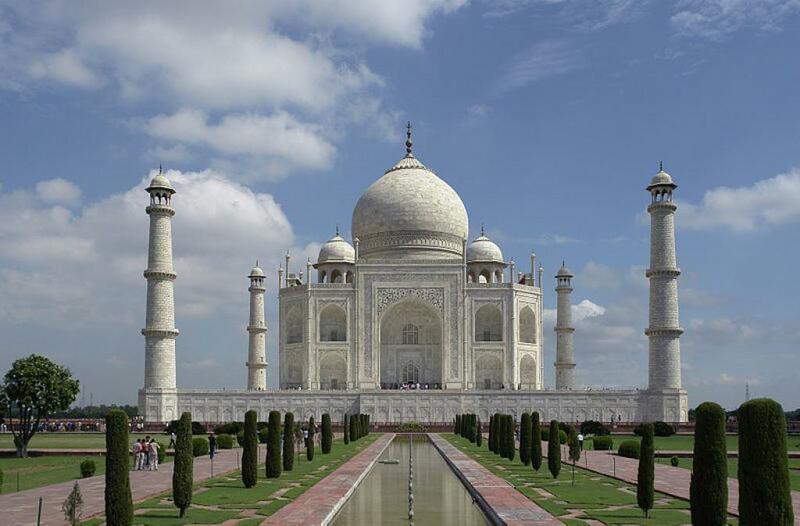 The Archaeological Survey of India (ASI) has been reprimanded by the Supreme Court (SC) of India for failing in its duty to protect the Taj Mahal in Agra from discolouration. The top court has been listening to a petition filed on the matter by environmentalist M C Mehta. On May 1, a bench consisting of Justices Madan B Lokur and Deepak Gupta had gone through photographs submitted by Mehta. He had said the authorities had not complied with the apex court's directions due to which the condition of the monument had become “horrible”. He had sought protection of the Taj from the ill-effects of polluting gases and deforestation in and around the monument. On seeing the photographs, the bench had remarked, “This is now becoming the eighth wonder of the world”. Observing that the monument had earlier turned yellow and was now going brownish and greenish in colour, the apex court had pulled up the authorities for not taking appropriate steps to preserve and protect it. “We don't know whether you have or perhaps don't have the expertise. Even if you have the expertise, you are not utilising it,” the bench had told the government. “Or perhaps you don't care,” they had added. After Additional Solicitor General A N S Nadkarni, who was appearing for the Centre said the management and protection of the monument was being done by the ASI, the bench fixed the matter for further hearing on May 9. On Wednesday, the SC expressed concern over the Taj being infected by insects and asked the authorities, including ASI, what steps they had taken to prevent it. “This situation would not have arisen if the ASI would have done its job. We are surprised with the way the ASI is defending itself. You (Centre) please consider if the ASI is needed there or not,” the bench said. In its reply, the ASI had come up with several reasons as to why the monument was going green. “The floor in parts of the Taj is dirty because of people walking there. We don't give socks to everyone, only VIPs, the rest go in their own socks,” it said. Nadkarni told the bench that the Union Ministry of Environment, Forest and Climate Change was considering the apex court's suggestion to appoint international experts to look into the issue of protection and preservation of Taj Mahal. The Taj, built by Mughal Emperor Shah Jahan in 1631 for his beloved wife, Mumtaz Mahal, is considered one of the finest examples of Indo-Islamic architecture. In March this year, the apex court had asked the Uttar Pradesh government to place before it, a draft of the vision document on protection and preservation of the Taj and the environment in the Taj Trapezium Zone, which is an area of about 10,400 sq km spread over the districts of Agra, Firozabad, Mathura, Hathras and Etah in Uttar Pradesh and Bharatpur in Rajasthan.